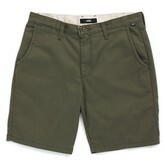 Vans The Authentic Stretch Short is a 68% cotton, 30% polyester, and 2% elastane 7.7 oz. Sturdy Stretch twill chino short that utilizes a unique blend of engineered fibers to provide comfort and increased durability with exceptional shape and stretch retention. 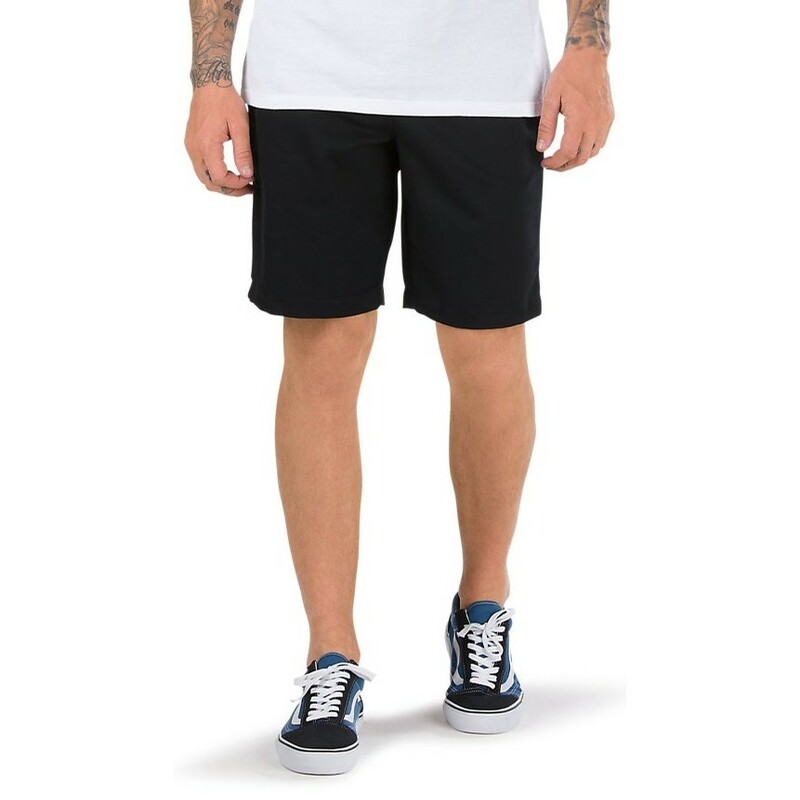 The Authentic Stretch Short also features front slash pockets, back welt pockets with a button closure, a woven Vans label, and a medium rise, modern fit.